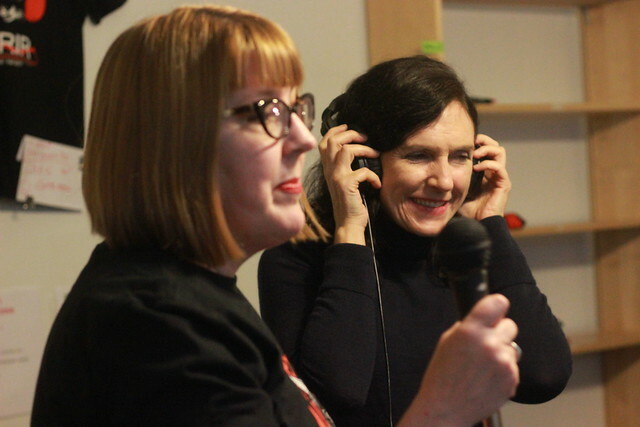 WRIR LP 97.3 FM hosted a Women in Audio: RVA Career in Audio Day in conjunction with SoundGirls.org. The organizations held workshops on journalism, video, audio editing, field recording, live sound engineering, and more. Keynote Speaker Kelley Libby, spoke about intersectionality on air. Participants met with WRIR’s awesome group of audio engineers, show hosts, producers, board operations, and technicians. 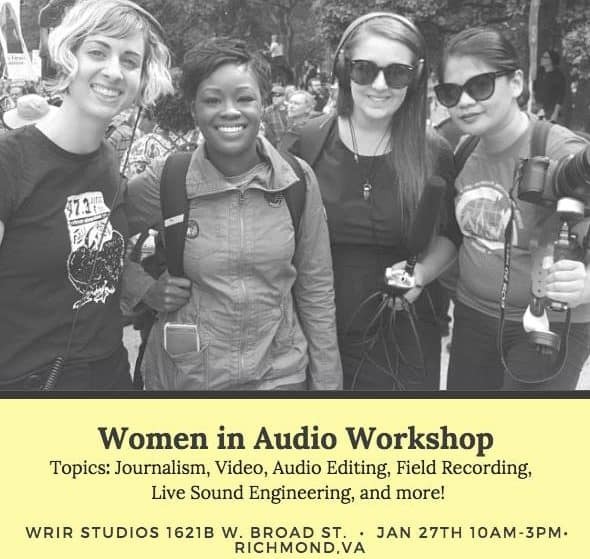 Women are rocking audio in Richmond! Participants were able to learn, meet, and network with each other. WRIR FM is a Press Freedom Incentive Fund grant recipient.